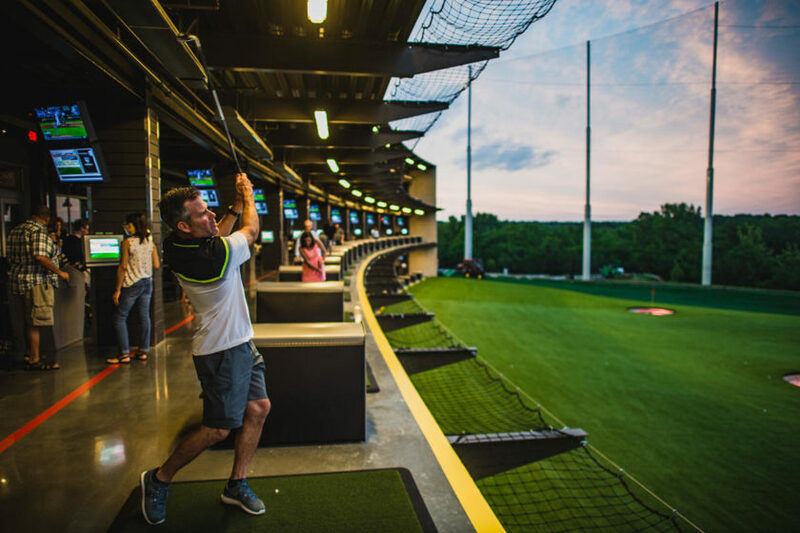 Headquartered in Dallas, Texas, and other spots in North America, Australia, the United Kingdom, and the United Arab Emirates, top golf has become a thriving entertainment and sport on a global scale. It is a game that entertains millions of ages and all experience levels. The balls have microchips that allow players to be able to keep track of their shots and see their accuracy and distances of their shots. There are 11 giant targets on a standard 215-yard area. The players score more points in they get closer to the mark. The game provides families, friends and anyone else playing with a mix of sport and entertainment at the same time. The venues are climate-controlled, food and beverages, as well as TVs for other sports games. The majority of the locations offer tournaments, leagues, corporate and social events that the general public can get involved in. The original concept of the combination for a bar with a driving range derived from Barry Cumbie and Mark Murray in Auburn, Alabama in the late 1990’s but the guys abandoned the idea. The technology behind top golf developed in England also in the late 1990’s by Steve and Dave Jolliffe who are twins. They had been practicing on the driving range and wanted to come up with a better way to advance their game. The brothers started World Golf Systems Company and introduced the new technology to England in 2001. A UK development company called Baydrive eventually bought the range and licenses from World Golf System. In 2006, in London, Golf Entertainment International formed to combine the experience of the driving range and the improvement of the game to the United States. Richard Grogan, David Main, and Eric Wilkinson created Golf Entertainment International. Going to a driving range became more advanced since the guys decided to mix food, drinks, and other fun activities to the range. The first few sites are in Dallas, Chicago, and Alexandria, Virginia. They assimilated World Golf Systems and the UK license and changed the name to Top golf. Locations vary whether they charge by the hour or by the game. Some places offer specials, deals, and discounts for when and how long you play. Assorted and varied menu items with cool and wild drinks are at every golf range giving the relaxed and social fun that people crave. Every year millions of people play for sport competition or just fun. There are about 50 locations across the globe and opening more every year. Top golf can be an excellent time for anyone and everyone with the attitude of a sport and the personality of a bar all into one.